I didn't see it coming. It felt like we got sucker-punched in the gut by a favorite uncle we trusted. Somehow, the supposedly wisest men and women in our judicial system found a way to define a federal law that would provide health insurance for every individual as "a tax". 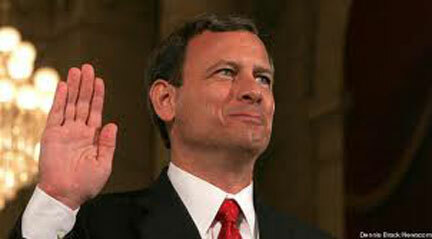 I confess that it was hard for me to follow Justice John Roberts' logic. It seemed to me that he was trying to walk that fine line of asserting the Supreme Court's authority, yet laying the working out of all the details back at the feet of Congress. At the heart of the debate was the law’s most controversial component, known as the “individual mandate,” which requires all Americans to purchase health insurance or pay a “shared responsibility payment” to the government. Twenty-six or so states had sued the Federal Government, claiming that the law was a violation of the Constitution’s Commerce Clause, which gives the federal government the power to regulate commerce between the states. In its ruling, the Court held that the law could not be upheld under the Commerce Clause, which was the government’s primary argument in its support. “The Federal Government does not have the power to order people to buy health insurance,” Roberts wrote for the majority. Whew! We dodged a bullet on that one! But wait! Here's where we got blindsided. The Federal Government also argued that the law could be considered a tax, and this is the argument the Court bought. Specifically, the court held that the individual mandate is not a “penalty,” as the health-care law identified it, but a tax, and therefore a constitutional application of Congress’s taxation power. Since when does the Supreme Court change a law's own definition of itself in order to make something that is blatantly unconstitutional, constitutionally acceptable? I mean, did I understand these shenanigans correctly? Bottom line: It's one more nail in the coffin of our economic calamity as well as our individual freedoms. And it's all being done by design. Will 2013 yield a way to forestall the implementation of this behemoth in 2014? If we were counting on the Supreme Court to protect our constitutional rights, then the answer to that question is woefully negative. It will just be another compulsory contribution levied on the overburdened populace. And we ain't seen nothin' yet! Proverbs 8:1 "Does not wisdom call out? Does not understanding raise her voice?"